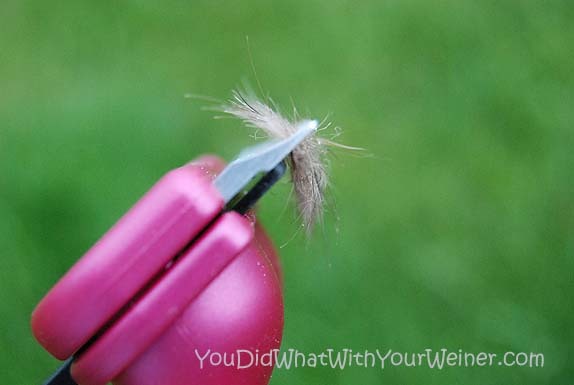 Can You Sweep Less Often With the Furminator deShedding Tool? 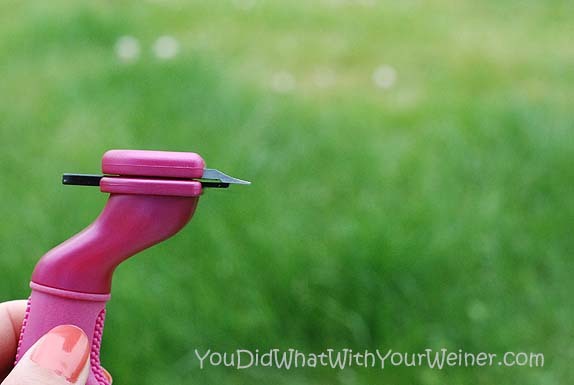 You are here: Home / Reviews / Dog Stuff / Can You Sweep Less Often With the Furminator deShedding Tool? Chester and Gretel shed. A lot. When I sweep the house it seems like I pick up enough hair to make a third Dachshund (ok, I admit I don’t sweep our wood floors often). Years ago, when I only had Chester, one of my friends recommend I get a Furminator deShedding Tool. I went to the pet store and looked at them but I was scared. They looked really sharp and pointy. I thought it would go right through Chester’s thin fur and scrape his sensitive skin. I gave up. 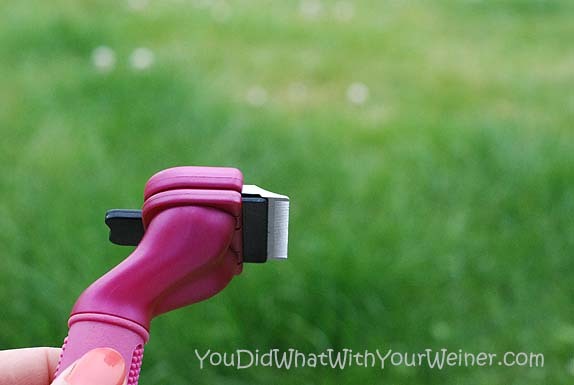 Fast forward years later and I had a chance to try the ShedMonster deShedding Tool, which claimed to be gentler on your dog’s skin. It didn’t work for us at all. I gave up again. This past week when I went to BlogPaws I had a chance to meet some people at the Furminator product booth. They offered to give me a tool to try if I agreed to share what I thought on my blog. The Furminator claims to reduce shedding up to 90% and, after the failure with the ShedMonster, I was getting desperate. The tool they gave me was really for a short-haired cat….but Chester and Gretel are short haired and about the size of a cat 🙂 It’s the same one as the Small Dog Short Hair deShedding Tool anyway… just a different color. The brush is still as pointy as it was years ago. I tried it on both Chester and Gretel and it slid through the top coat to grab the loose fur underneath but did not appear to touch the skin. Gretel and Chester don’t have much fat and I was so happy when it did not scrape the skin when gliding over their bones. The best part was – it worked! I used the brush on Gretel for about a minute and it pulled out a good clump of hair. To get the hair out of the brush, all you have to do is push a button in the back and it pushes it out. I think I am in love with this brush. I have high hopes for finding less hair around the house from now on and being able to sweep even less often. The only problem is that I am busy and lazy so I don’t know how consistent I will be with using it. Ha, ha. Why can’t they make some kind of magic soap or spray you can use to stop the shedding or a tool that Chester and Gretel can use themselves? Ha, ha. Note: Remember to check out the Furminator website to select the Tool that matches the size and coat length of your dog. The Small Dog Short Hair deShedding Tool we reviewed is for dogs up to 20 lbs with a coat shorter than 2 inches. 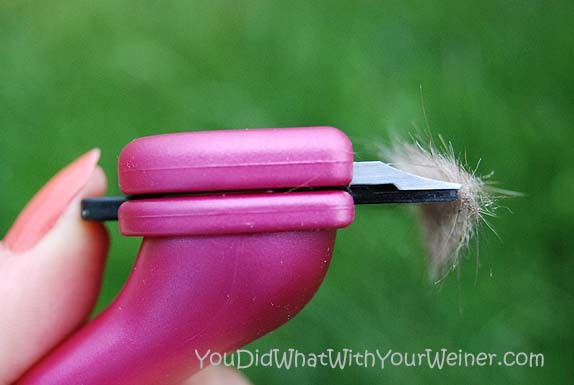 Have you ever use the Furminator tool? Tell us what you thought. Yeah, we can’t attest to how it works on dogs with really long hair. I know it doesn’t have a cutting blade but I wonder if it would just get caught in Snoopy’s hair. We’ve used them on our dogs and cats for a few years now and we love it! My brothers pug came to visit for a month and he shed so much. I then went and got a Furminator and pulled a huge pile of hair off of him! it was bigger then his head! Now I brush him once a week and get about a handful. The maid of the house (me) thinks the Furminator was one of the best doggie tools she ever bought. We have a large one for Luna and it works great! A Furminator is a must for Goldens!!! We did receive that pink one at BP too, and look I forward to using it on Penny. She is one shedder too! We will definitely be trying the deShedding shampoo. It’s less work than the brush 🙂 We look forward to hearing about the new tool from you. I don’t use one of these on the Newfs, but I would totally use it on my Beagle! Thanks. I took the photos with my new lens. I DO wonder how the Furminator works on dogs with longer hair. It glides easily over Chester and Gretel’s short hair but I wonder if it would snag longer hair at all. If you do ever try it on the News, let me know. With the hot weather, Honey appreciates when I “furminate” the dead hair clinging to her coat. 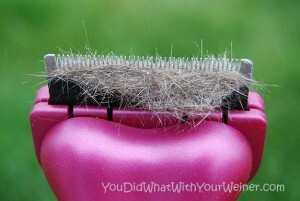 When my husband first bought a furminator I almost had a heart attack when the credit card bill came. But I have to say I’m hooked. It works well for Honey’s long flowing coat and she seems to like the feeling of it. Glad you were able to find something that does a good job. Curious to know if it really keeps the housework down. Maybe you’ll do a follow up? I am glad it worked for Honey who has longer hair. 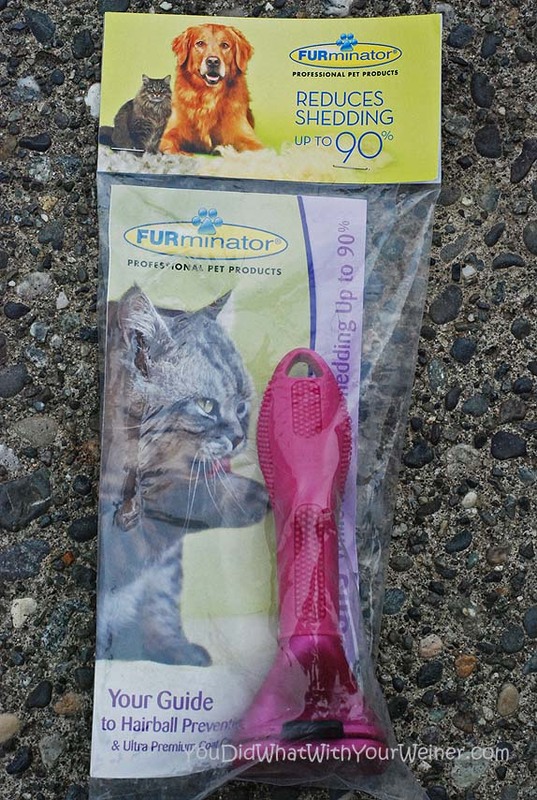 I plan to do a follow-up on the Furminator (after I actually get around to using it consistently. Ha, ha). I also have some deShedding soap to try. I will let you know what I think of that too. I´ll try… I wasn´t sure if I have to buy it, but after read your comments I wil… Ygor shed a lot and he´s a short haired doxie as well… Thanks for this post…! !